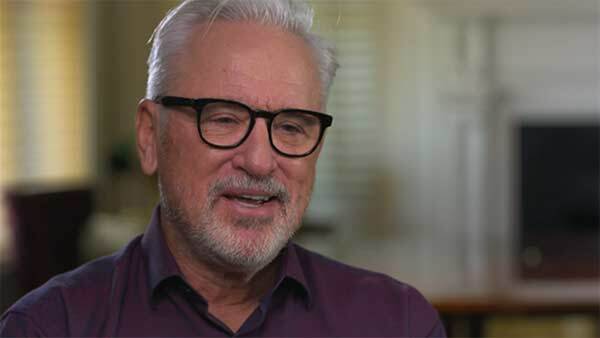 CHICAGO (WLS) -- By 2014, another forward-thinking baseball man knew that Joe Maddon was the right manager to guide the talented but terribly young team that he'd assemble. But actually finding Maddon was another matter altogether. "That was the first time I've ever had to Google Map an RV park in my life to begin with, let alone for a job interview," said Chicago Cubs President Theo Epstein. Epstein was determined to get his man, even if that meant finding his man's RV. "There was a Publix supermarket across the street, and I know Joe likes wine," Epstein said. "So I got the best bottle of wine I could, like, it was $19 or something, and the next thing you know we're sitting in plastic lawn chairs in the sand on the beach at Pensacola, RVs behind us, ocean in front of us, talking about what makes a great organization." What was it Epstein needed clarified? "I needed to know that he was ready for the grind of Chicago and the massive challenge that we had on hand. And I was convinced in the first ten minutes," Epstein said. Epstein told HBO's "Real Sports with Bryant Gumbel" when he interviewed Maddon he'd basically made up his mind but that Maddon needed convincing. For what? "I know I'm different than a lot of the guys that do what I do, but I need some latitude. I needed some freedom," Maddon said. By last October, the Cubs were rolling. But after reaching the World Series, they quickly found themselves in a hole, trailing the Cleveland Indians three games to one. The Cubs won Games 5 and 6 to stay alive in the series, but in the process, Maddon found himself in unfamiliar territory. He was, for the first time, nationally criticized for the way he managed. Particularly, the way many said he was exhausting his ace closer, Aroldis Chapman. And it wasn't just the media. "Not every manager's gonna get everything right. But you better have a reason for it. And Joe always has a good reason for it," Epstein said. The second guessing only intensified in Game 7 when Maddon pulled his starter after just 63 pitches. Then with a three-run lead in the 8th, Maddon summoned Chapman, even when many thought he was tired from being over-worked. The Cubs, their fans, and even Maddon's worst fears were realized when Chapman promptly gave up a run. Wasn't it apparent to Maddon Chapman was gassed? "No, I mean I, I didn't think he was, because just conversationally he said he was fine," Maddon told Gumbel. Then the skies opened up and the rains came. "It was a perfect time to regroup. It absolutely was," Maddon said. "I didn't agree with everything he did during the World Series, but I agreed with him as being the absolute right person to see us through all these ups and downs and get us to the end," Epstein said. "And that's what he did, is he got us to the end."